Well, I don't really see the point of this. "At least they didn't ruin it" seems to be the best thing I'd have to say about it. But they could have done a bit more. Getting rid of the black plastic covered C -pillar nobody likes: no. At least the trim on the grille looks more like a Jag. And it still looks more distinctive and interesting than the S Class or 7 series. Here is the current one. What I HATE about this car the most is the thin gap the runs above the grill and down the side of the hood. They should have fixed that and then I will say this looks nicer than the 7. "A larger screen inside: no"
How big of a screen do you need? The size is perfectly normal and pretty much average for the class. 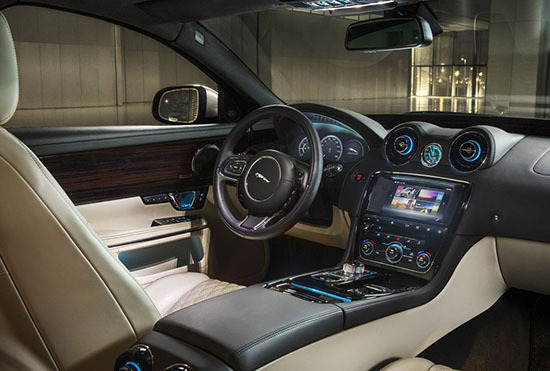 The bigger deal is the fact that it's got their new infotainment system, which is apparently miles ahead of what is found in the pre-facelifted vehicle. EVERYTHING is nicer looking than the 7. 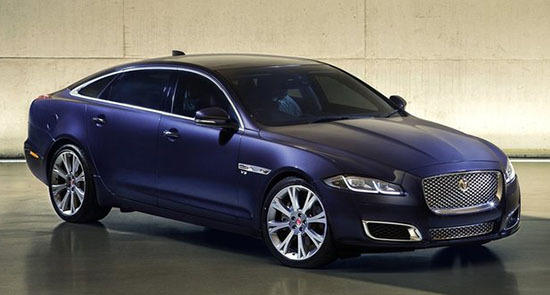 And this is STILL probably the best-looking of any sedan in the $50k- $150k range. (And I drive a BMW!--but based on the "new" 7, probably not next time.) 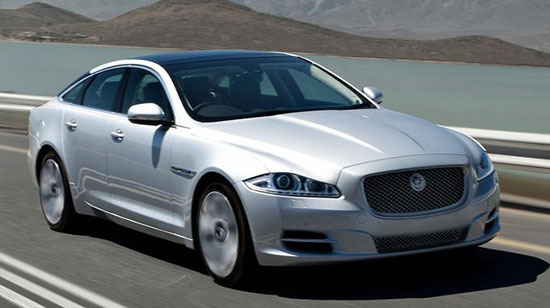 The only flaw in the Jaguar DNA is the questionable relyability of it's parent company. "It still looks more distinctive and interesting than the S Class." I think most people would disagree. The Mercedes S Class has a much more stately and refined look. Maybe the exterior design lines aren't as fluid, but it is definitely more of a striking, up-market presentation than the Jag. "It still looks more distinctive and interesting than the S Class. I AGREE COMPLETELY. The S's fatal flaw is it's generic "1990's Ford Taurus" body. Jag is unique--like a luxury car SHOULD be. As to the screen, I agree, too small. they need to be in that 8"x8" (Chrysler 300 & Maserati Quatroporte) or 10" HZ (BMW/Rolls) range. Everything else is too small in the "over $40k" range. Rounded headlight details and "claw-mark" taillight elements both deleted? Less distinctive than ever.